The Democratic National Committee is preparing for a 2020 free-for-all — or, at least, preparing to be in position to try and manage it. With more than 30 Democrats looking seriously at presidential runs — some likely to kick off in the next few weeks — party chairman Tom Perez on Thursday laid out a preliminary plan for the primary debates that makes clear the committee’s role will be to walk a thin line: getting the eventual nominee as much positive exposure as possible, while avoiding slighting any candidates and turning the central Democratic infrastructure itself into a target of grassroots scorn yet again. And the timeline and debate parameters outlined by Perez suggest the party is readying itself for the possibility of a months-long, candidate-packed melee. Which is only fair, considering the breadth of potential contenders. The basic debate schedule itself acknowledges the likely massive field, and the potential for a drawn-out scrap for delegates that will ultimately determine the nomination. Perez said the first debate will be held in June 2019 — earlier than Republicans’ late-summer kickoff in 2015 — and the last one is scheduled for April 2020 — deep into the primary calendar, once the early-voting states and Super Tuesday have passed, and by which point the field is (usually) much winnowed. Perhaps not this time. Overall, however, the arrangement reveals a studied attempt to avoid the challenges that plagued the party in 2016, starting with an effective promise of the DNC’s neutrality from the start. Then, Bernie Sanders and, earlier, Martin O’Malley railed against the DNC and its chair at the time, Florida congresswoman Debbie Wasserman Schultz, for putting their finger on the scale for Hillary Clinton with a limited debate schedule that was only eventually expanded from its original six. This time, Perez said, there will be 12 debates to start. 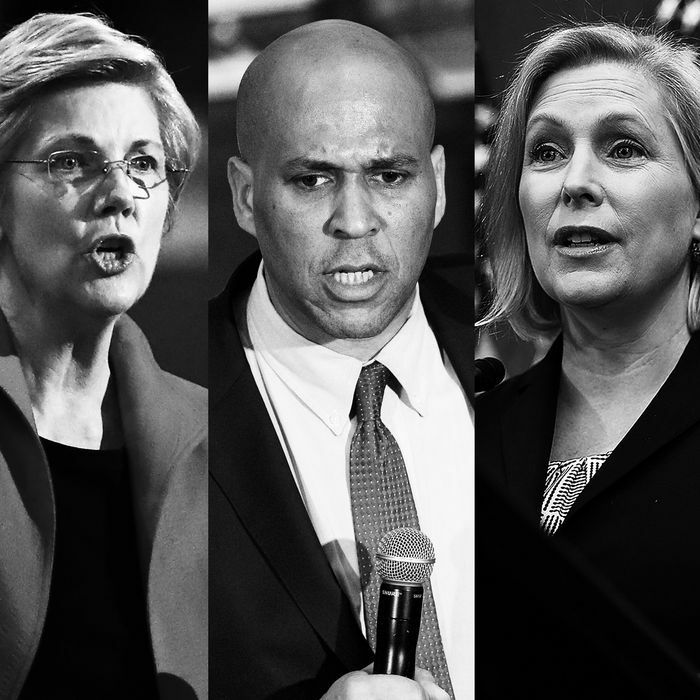 Mary Beth Cahill, a senior adviser to the DNC and John Kerry’s 2004 campaign manager, said she had consulted with former candidates and campaign figures to formulate this plan, but no prospective 2020 contenders — thereby minimizing the perception of bias in favor of any candidate. “This is the first step in an orderly and transparent debate process,” insisted Perez, unprompted, on a call with reporters. “Perez and his team have held more than 80 meetings over the course of many months with a variety of individuals who have knowledge of and experience with the debate process,” assures the ensuing DNC press release. The new outline also apparently nods to the reality that serious candidates will likely have to be running full-scale national campaigns rather than single-state organizations in order to be viable. Six of the debates will be held in 2019, and six are planned for 2020; none of the first batch will be held in the early-voting states (Iowa, New Hampshire, Nevada, and South Carolina). And, wary of the criticism that the debates were held over weekends and in low-viewership hours in the last cycle, Perez insisted he planned to work with the television networks to find maximum eyeball hours. “The more voters that see our candidates, the more voters will vote for Democrats,” he said. It’s all an exercise in trying to prove good faith and confident competence after the most bruising election in the committee’s recent history. The DNC’s implied bet is that its attempt to prove its finger is far from the scale will keep the focus on the candidates. The dozens and dozens of candidates.